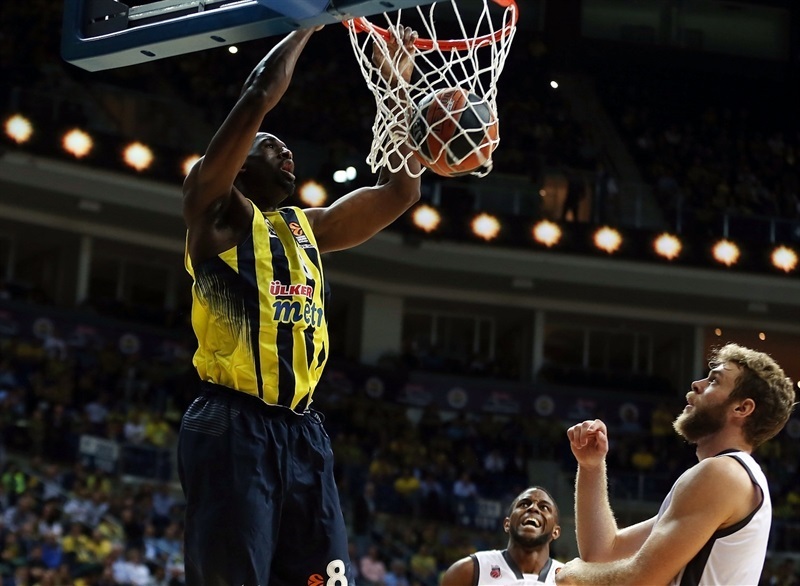 Fenerbahce Istanbul edged Brose Bamberg with a thrilling 67-66 victory that came down to the very final shot on Friday at the Ulker Sports Arena. 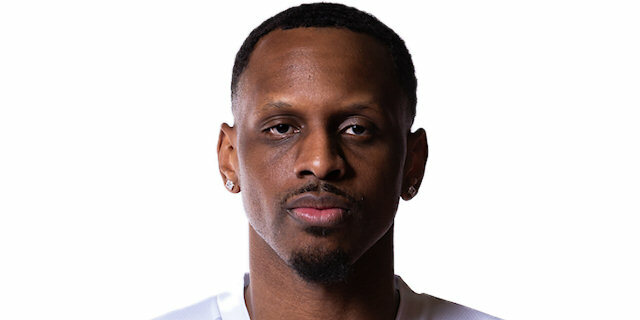 It was an extremely close contest throughout, with neither team leading by more than 8 points at any stage, and Bamberg had a chance to win at the buzzer, but Nicolo Melli’s tough long-range three-point attempt did not drop and Fenerbahce held on. 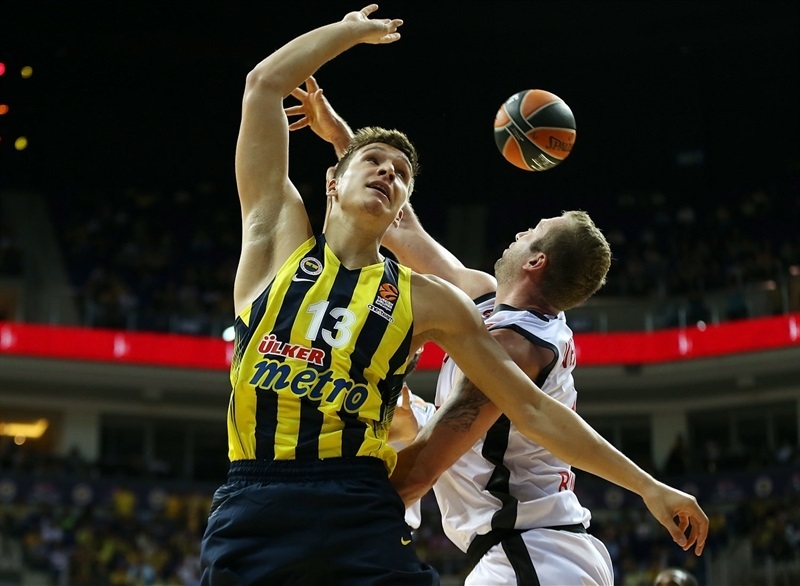 Bogdan Bogdanovic paced the home team with 18 points, only missing 2 shots all night, while big men Ekpe Udoh, Pero Antic and Jan Vesely scored 10 points apiece. 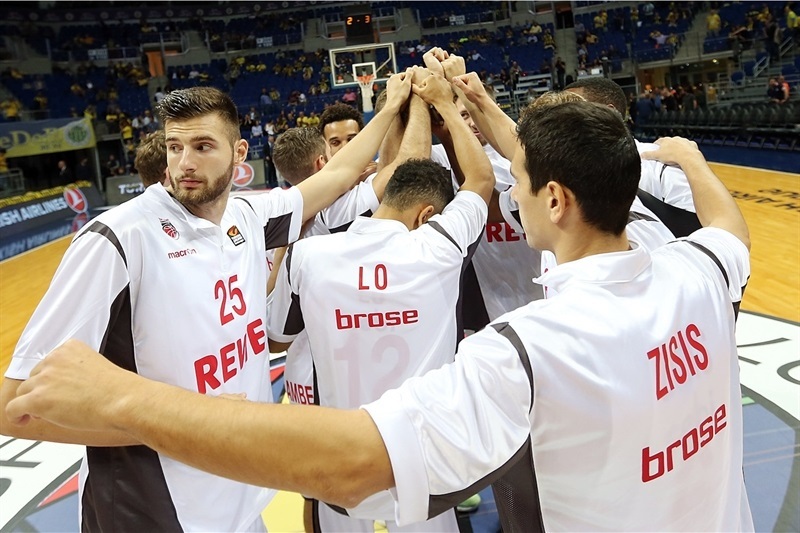 Bamberg was led by Darius Miller who scored 17 points, with Nikos Zisis adding 11 and Melli hauling in 12 rebounds. 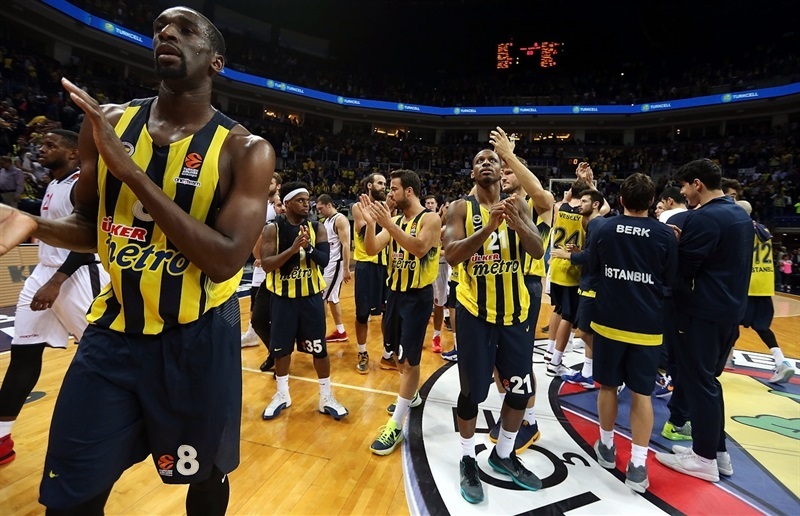 Next week Fenerbahce heads on the road to face FC Barcelona Lassa, while Bamberg begins its home campaign against Unics Kazan. 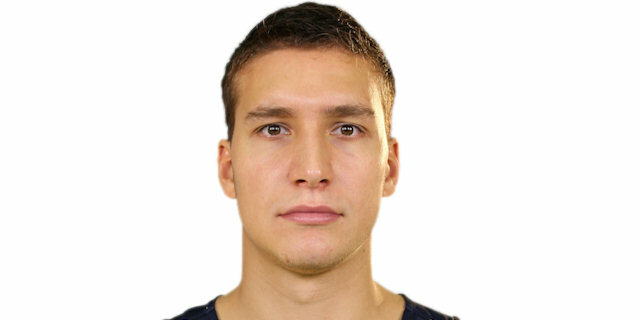 Melli scored the game’s first points and Vladimir Veremeenko was soon on target to give Bamberg a 5-point lead. The visitors never trailed in the first quarter and led 18-22 after 10 minutes. 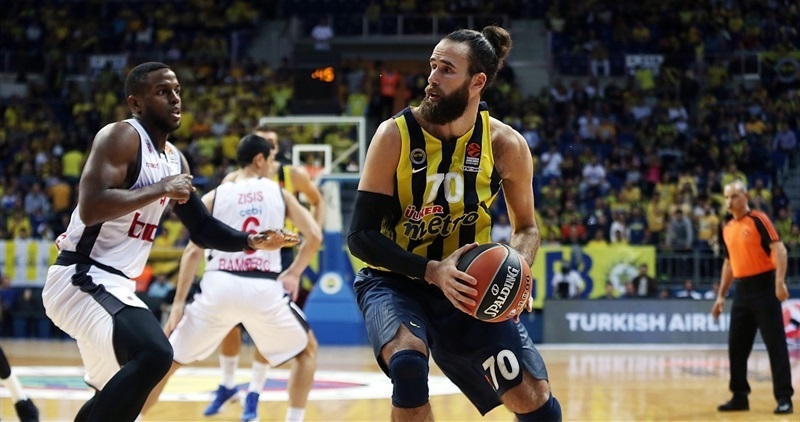 Fenerbahce then rallied through Antic, whose back-to-back triples gave the home team its first lead, and the Fenerbahce defense restricted Bamberg to 2 points in nearly five minutes to hold a 36-33 halftime lead. 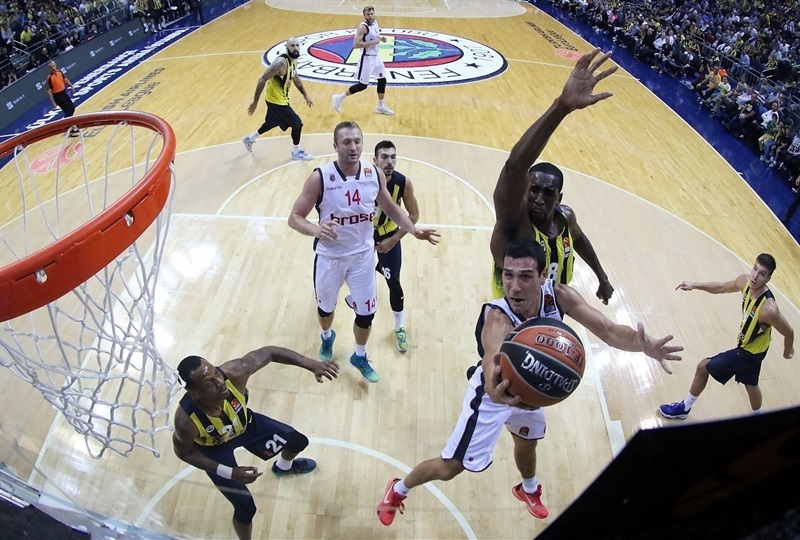 Fenerbahce appeared to be taking charge early in the second half and stretched out to an 8-point lead after Antic’s big slam. 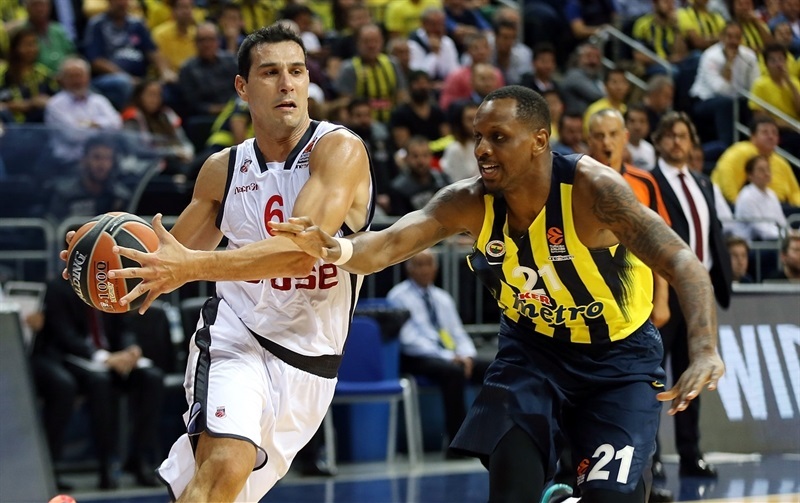 But battling Bamberg fought back, concluding a 2-11 streak with five quick points from Miller to take the lead, 43-44. 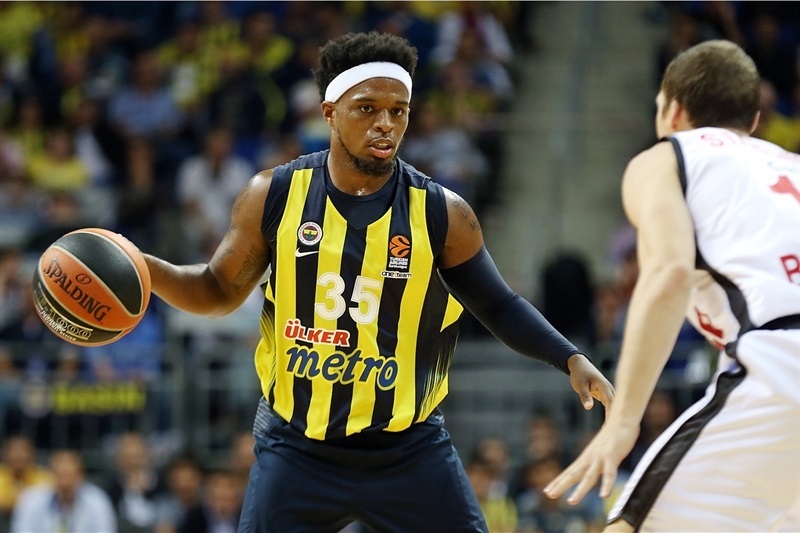 However Fenerbahce’s Bobby Dixon hit a pair of triples in a 10-2 streak and the hosts led 53-51 with 10 minutes remaining. 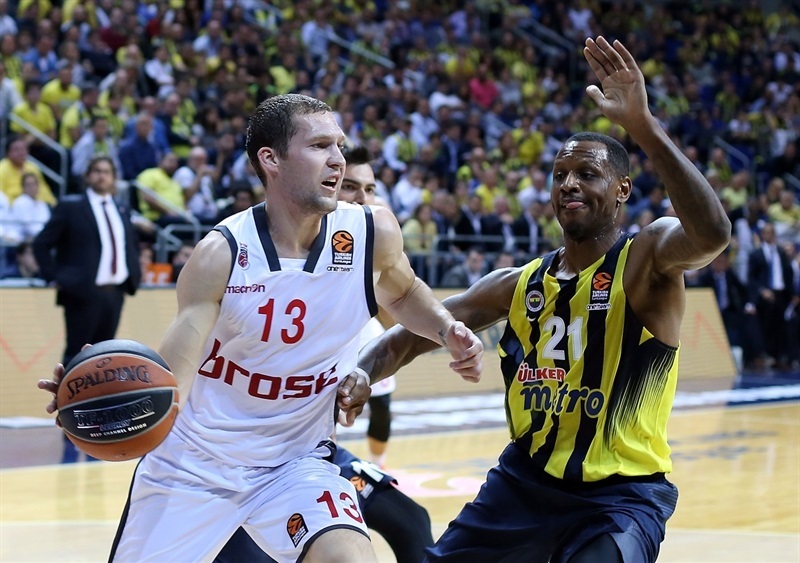 Fenerbahce started the fourth well and led by 7 after a triple from Bogdanovic. 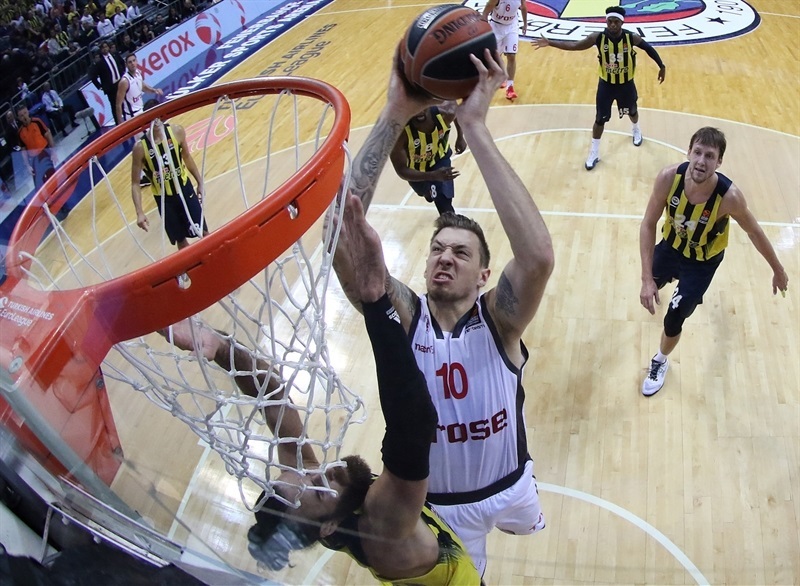 But Bamberg again came back and a pair of forceful dunks from Daniel Theis made it 62-60 with just four minutes remaining. 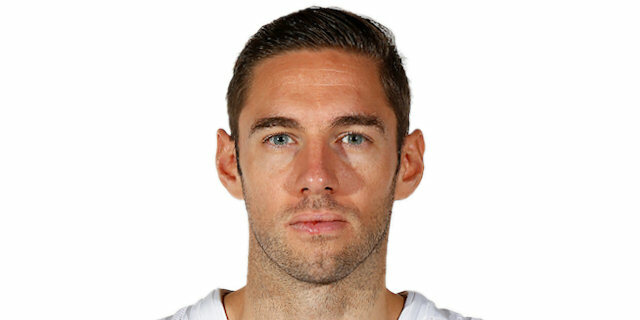 Bogdanovic and Janis Strelnieks exchanges three-pointers before Bamberg regained the lead, 65-66, with 1:22 on the clock as Miller held his nerve to convert 3 free throws. 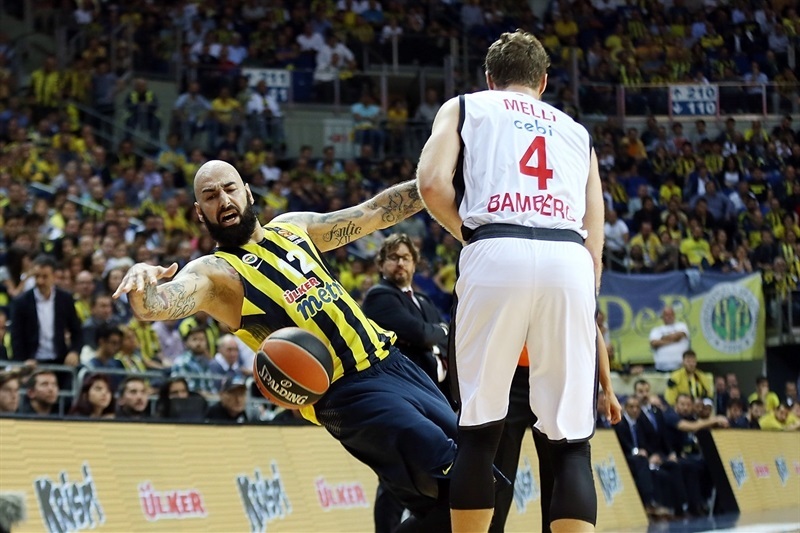 Antic responded with a pair of free throws to send Fenerbahce back in front, and that was the last scoring as Melli couldn’t quite take his team’s last chance to win. 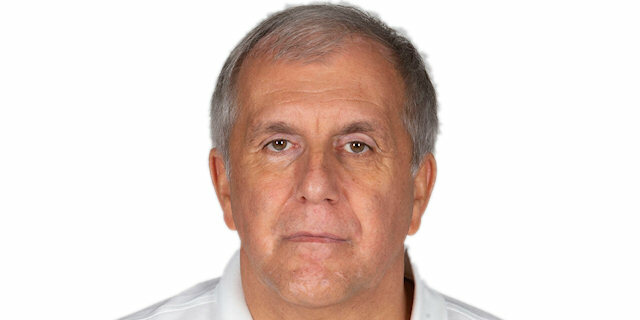 "It was a hard-fought game. That's a very good team. Bamberg is a good team. 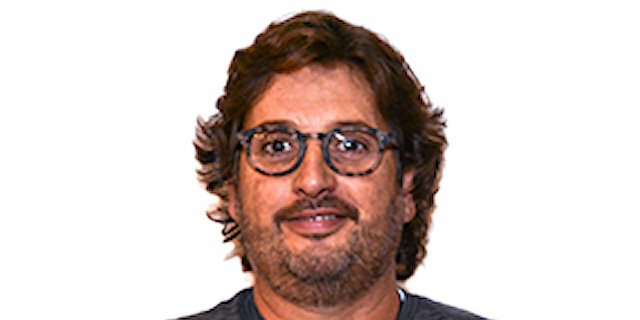 A win is a win. We wanted to play better, but we came out victorious and that's what matters now. We just gotta get better."